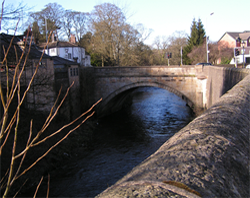 MARPLE, MELLOR & MARPLE BRIDGE ENERGY SAVING STRATEGY is a local community project which aims to promote carbon reduction, raise awareness of climate change issues and find local solutions to some of the resulting problems. Following a workshop day on the environment and climate change organised by Marple Churches Together Justice & Peace Group in October 2009 MESS was formed and is now open to people of all faiths and none. The group has met monthly since it was formed and held a successful launch in June 2010. It has a Core Group of 30 members and a wider membership of nearly 200 people. In its first year MESS concentrated on promoting loft and cavity wall insulation. Working with the Energy Saving Trust and Stockport Borough Council 246 homes in the locality have benefited from the discounted scheme with a contribution of £10,500 from Stockport MBC. In February 2011 MESS held an Energy Efficient SHOWCASE. This gave suppliers an opportunity to show off their products and answer questions from the large number of people who braved the freezing weather to find out how to save energy, save money and save the environment. Stall holders were delighted with the contacts made and many are returned again for this year’s event. The Showcase allows MESS to fulfil one of its aims — to support and promote local businesses. The need and desire for allotments is a problem faced in most areas. 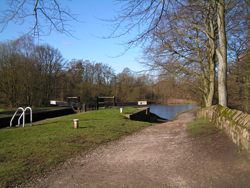 In the Marple area the waiting list has been closed as it was 7 years long. MESS is looking for land in the area that could be used even if only for 2 or 3 allotment spaces. We are trying to be imaginative in finding solutions for this need. A petition for greater allotment provision has being sent to the council. A MESS sub-committee has also prepared a Shared Garden Scheme to try to find ways around the allotment deficit. A programme of film showings of environmental documentaries takes place every two months. So far we have viewed ‘Peak Oil’, ‘The Power of Community’, The ‘Vanishing of the Bees’ and ‘The End of the Line’. In coming months we will view ‘Gaslands, about fracking and ‘Black Gold’, about coffee. In November 2011 MESS was successful in obtaining a grant of £452 from the Warm Homes award scheme and a month later was awarded £2499 from the Environment Partnership of Stockport MBC. These grants have enabled MESS to produce a Summer and Winter Newsletter that reaches most homes in the MESS area and to plan trainings for its members and to purchase equipment needed for the running and promotion of the group and its work. February 2012 saw MESS successful in a government funded LEAF (Local Energy Assessment Fund) scheme. MESS was awarded £51,000 to explore and organise feasibility studies on all aspects of renewable energy technologies in the Marple North and Marple South wards – the MESS area. Also to develop an Eco House and purchase educational environmental equipment for use in local schools. This project is known as MESS CORES (Community Owned Renewables & Energy Sharing). There is a six week timescale for this study or the funding is lost. This project is an exciting opportunity to get the local community involved in helping to lower the carbon emissions in the area. MESS members are enthusiastic local people who are trying to offer to the community, ideas, knowledge and solutions, to the challenges that we all face in these changing times. New members are always welcome.